Nestling on the edge of the 550 square miles of the North York Moors National Park the award winning Carlton Lodge is ideally placed to stay whilst touring this unique heritage rich region. Visit Helmsley North Yorkshire and the surrounding villages and stay in B&B, hotel or vacation rental accommodation provided by BedPosts members. Helmsley is an attractive market town beneath the southern rim of the North York Moors. Helmsley castle is a 12th century ruin which stands craggy and broken, amid the well kept lawns of Duncombe Park. It was probably built by Walter l'Espec, the founder of Rievaulx Abbey. Around Helmsley is a fine area for walking; the Cleveland Way begins here along the marked footpath to Rievaulx, north of the castle. Rievaulx Abbey, 2 miles north-west of Helmsley, was founded in 1131, the first Cistercian house in the north of England, and one of the most fantastic monastic ruins in the country today. The name, pronounced “Reevo”, comes from Rye Vallis, or valley of the River Rye, above which the abbey ruins stand. There are wonderful views from the well laid-out Rievaulx Terrace, above the ruins to the east. 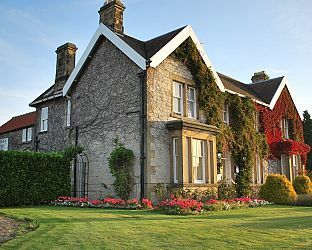 If you seek accommodation near Helmsley in North Yorkshire you have come to the website of a “club” of providers who offer affordable quality accommodation around UK in hotels, bed and breakfasts, guesthouses, inns, and restaurants plus self-catering cottages and apartments .